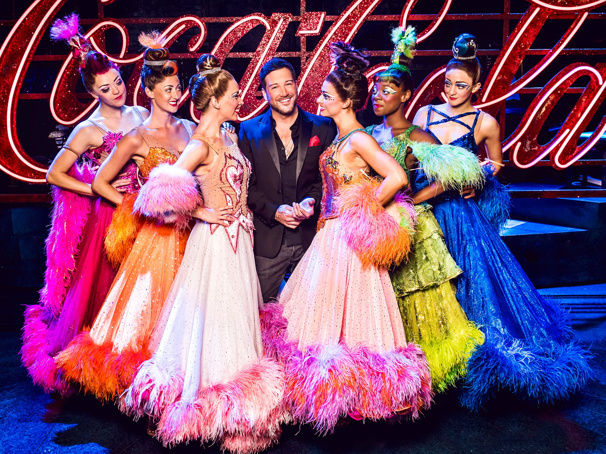 Matt Cardle is trading in a guitar for dance shoes! The X Factor season seven winner is set to replace Will Young in the West End's Strictly Ballroom the Musical beginning on July 31. The production, based on the Baz Luhrmann film of the same name, is currently playing at the Piccadilly Theatre. Cardle has previously appeared in the West End in Memphis as Huey Calhoun. He is known for his singing career, which began in 2010 when he won The X Factor and received a £1 million recording contract with Syco Music and later signed a deal with Columbia Records. Since then, Cardle has released four studio albums, one live album and eleven singles including "When We Collide" which earned the #1 spot on the U.K. chart. Strictly Ballroom the Musical tells the story of Scott Hastings, an arrogant young ballroom champion who gets in trouble for daring to dance his own steps. The show, directed by Drew McOnie, features over 30 hits including "Time After Time," "Let's Dance," and "I Wanna Dance With Somebody." The musical was first performed at the Sydney Lyric in 2014 and went on to have productions in Melbourne, Brisbane, Leeds, and Toronto. The West End production opened in April 2018 and has a set designed by Soutra Gilmour, costumes by Catherine Martin, lighting design by Howard Hudson, sound design by Gareth Owen and orchestrations by Simon Hale.